View CSS Grid, Gutenberg and the future of Layouts on Notist. 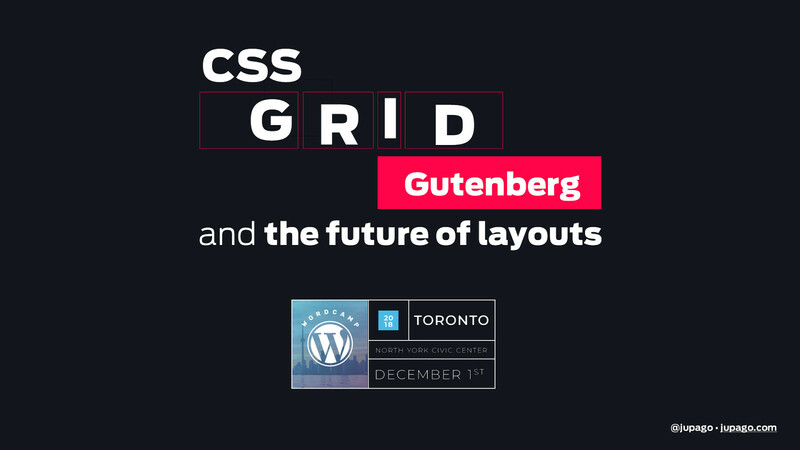 Released last year, CSS Grid changes everything for the web and the WordPress community. It means that, for the first time, we can think of layout on posts and pages as two-dimensional and fully responsive. CSS Grid is not another plugin hack or bootstrap patch. Quite simply, it’s the solution for which designers have been asking. It is here to stay and right now is the perfect time to learn it. Why CSS Grid? How to use Grid? When to use Grid? Demos!